When SAFE Sens integration to the Esco Miri® benchtop incubator was announced at ESHRE last year, it was well received by IVF laboratories worldwide. The ability to measure, record and archive pH during a cycle, provides the lab extra assurance of a stable incubator environment throughout the five (5) to seven (7) days of in vitro embryo development. 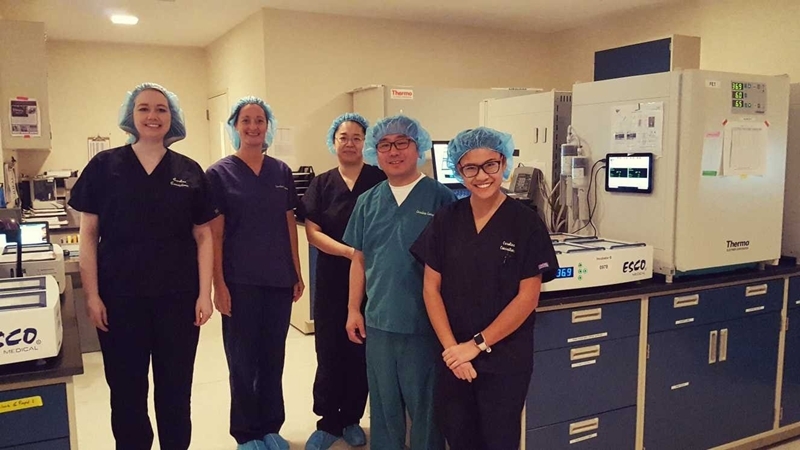 The 1000th Miri® customer – Carolina Conceptions Fertility Clinic of Raleigh, North Carolina – is a proud user of this SAFE Sens technology. The clinic has four (4) Miri® Benchtop Incubators, all equipped with SAFE Sens for continuous pH monitoring. Their laboratory finds it easy and convenient to use. “I think the SAFE Sens is great pH monitoring system for the IVF lab. I tested this in our big box incubators for 4 weeks before ordering them for my Esco Miri incubators. This is not great as a pH meter but is great for pH monitoring. The initial pH reading was different about 0.2 to 0.3 to conventional pH meter. After initial alignment; however, pH reading of SAFE Sens was perfectly matched with CO2 reading and conventional pH meter (day1, day 3, and day5). It is also easy and convenient to use”, says Sung Tae Kim, Laboratory Director of Carolina Conceptions. For information on how to order the Miri with SAFE Sens, please refer to this downloadable guide.